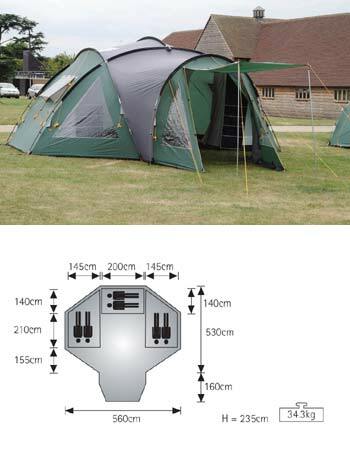 Has a few loops missing to peg the bedrooms down, but does not affect the use of the tent. The bag that holds everything does have a whole in it, but only small and does not affect the use of it. All zips, poles, seams and material are fine.